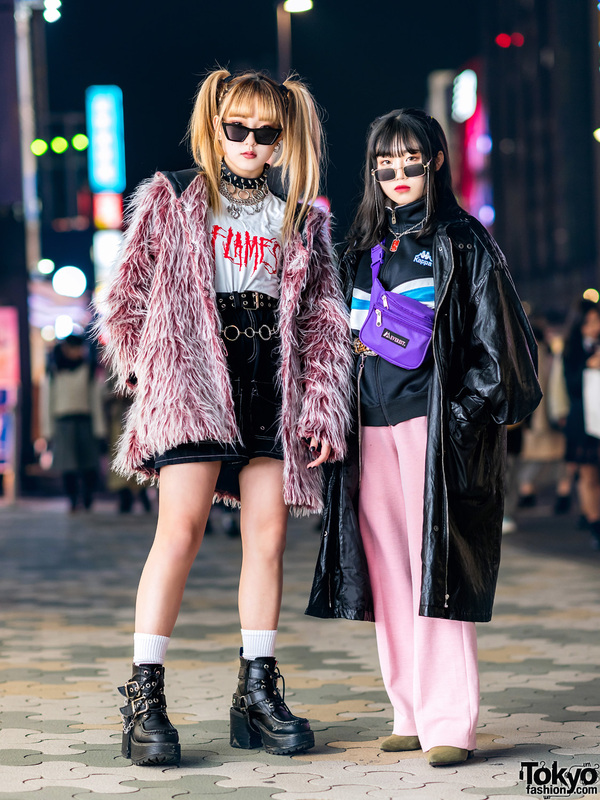 Meet Sou and Seppuku, two teen students who caught our attention on the Harajuku street one afternoon with their identical remake fashion styles. 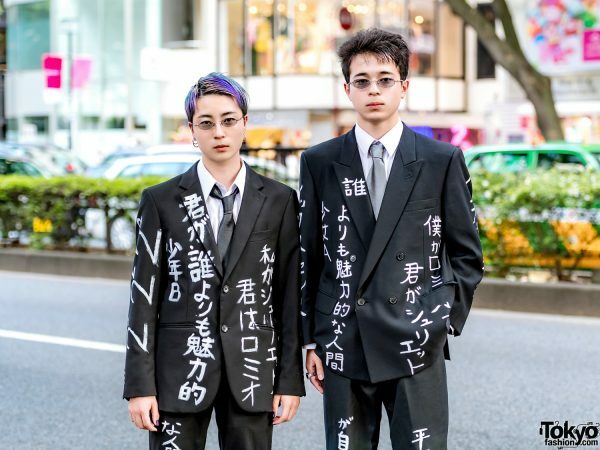 At the left is 15-year-old Seppuku, sporting a slick unicorn-colored hairstyle. 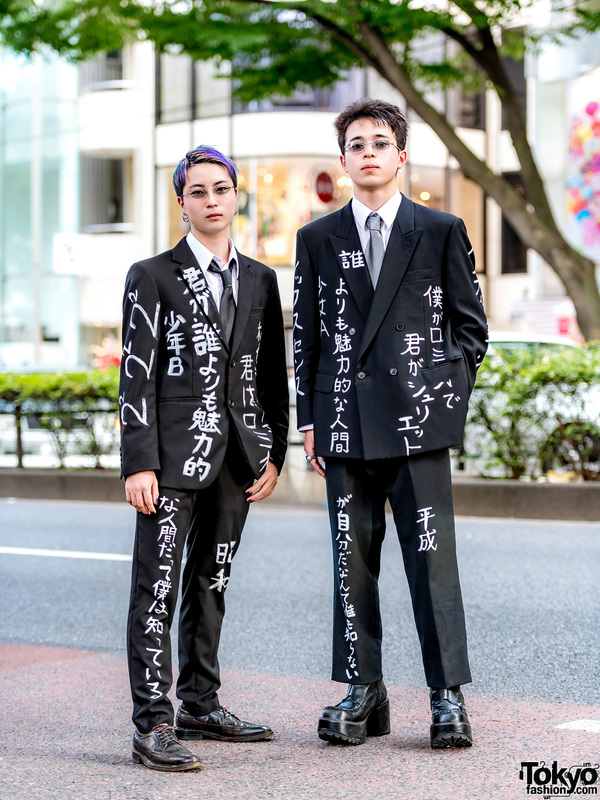 He is decked out in a black remake suit with kanji print detailing, which he styled with a white collared shirt and a black satin necktie, and a pair of black leather wingtip shoes. He rounded out his monochrome look with sunglasses and silver hoop earrings. 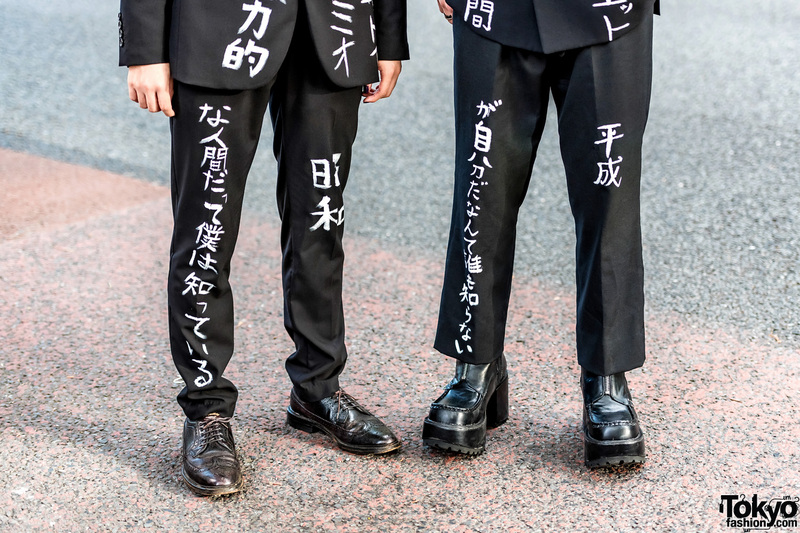 Seppuku’s favorite fashion label is Rick Owens, and he is active on Instagram. 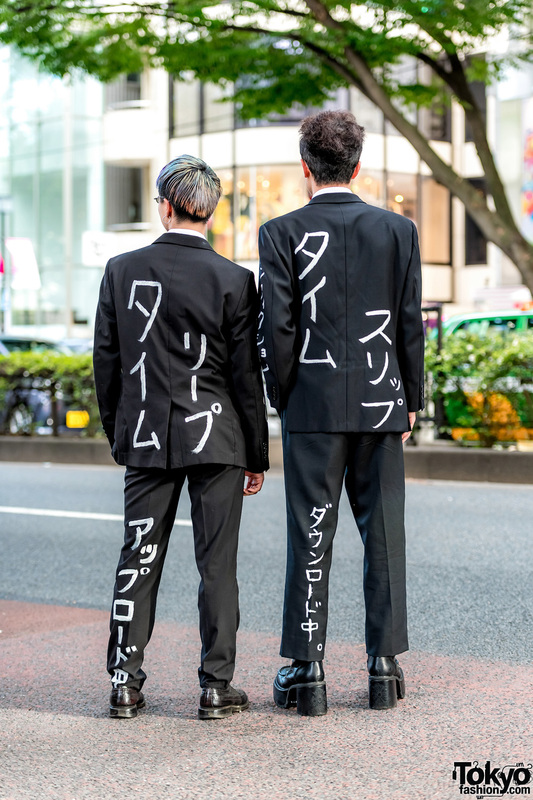 Meanwhile, Sou is wearing a similar remake kanji print suit, styled with a white collared shirt and a silver satin necktie. He completed his outfit with platform zipper boots from Yosuke, sunglasses, and a silver knuckle ring. Popular Japanese streetwear brand, Comme des Garcons, is 17-year-old Sou’s favorite fashion label, and he likes the music of Boowy. Sou is also active on Instagram.